Some interesting stats for Leeds councillors to ponder as they decide next week whether to continue webcasting regular meetings of the full council (of course they’ll continue). Viewing figures have been released for the first five webcasts made available on the internet since the service was given the go-ahead back in June 2013. Well, there have been an average 384 hits per webcast as they’ve gone out live, with a peak of 569 for the annual budget debate in February, and a low of 193 for January’s meeting. The archived webcasts have attracted much more traffic – an average of 1,575 hits. Last September’s – the first since the June go-ahead – has been looked at 3,678 times so far. According to a report prepared for the meeting on 28th of May, the people who provide the service for Leeds and many other councils, a firm called Public-i, have told the council the figures are “very good”, given that there’s been little promotion of the service. And while 384 hits doesn’t mean 384 different viewers (obsessive council-watchers will have been dipping in and out of the lengthy webcasts) … and while we don’t know what percentage of the traffic comes from inside the council … it’s clear that loads more ordinary citizens have been watching than the 10-25 residents and trainee journalists who usually frequent the gallery at the Civic Hall. Good news, no doubt, but, apart from being #democracyinaction, what does it mean? One of the things councillors will be weighing up when they meet to decide to extend the service for another year is whether the £16,000 a year they/we are paying is good value for money. It’s early days, but current viewing points to around 18,000 hits (live and archived) over a full year of nine webcasts. Which, as far as I can work out, comes out at between 80p and 90p a hit. Is that value for money? I’ve no idea. How does it compare with other councils? I can’t find comparable stats. How do they get more viewers? The place to start would be to find out where they’re coming from now. Sadly, that information hasn’t been published. 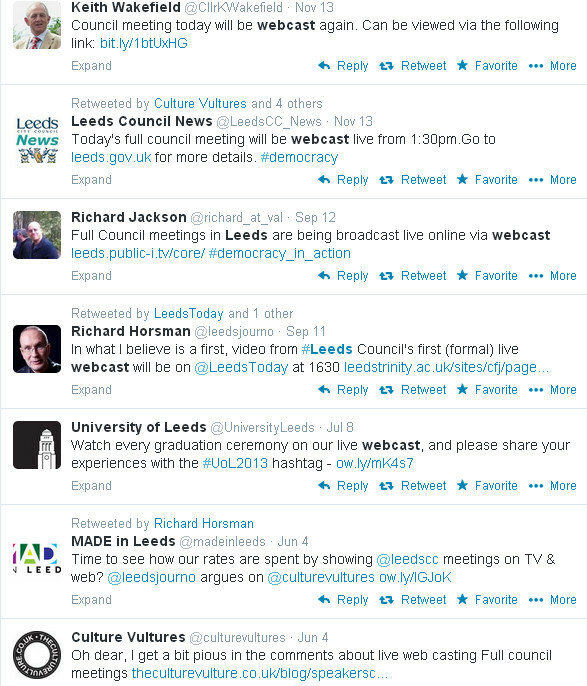 So it’s worth stating the obvious: that the two webcasts most viewed live were the ones about which there was some buzz on Leeds social media – the first, a pilot back in May last year, because it was a novelty and people were curious, the second because people were already interested in the subject matter, the council budget. No surprise then that Public-i have suggested to the council that one way they could increase uptake would be to try promoting specific items on the meetings’ agenda live on social media, with a link to the webcast. “Debate coming up on state of household refuse collection in #Weetwood ward. 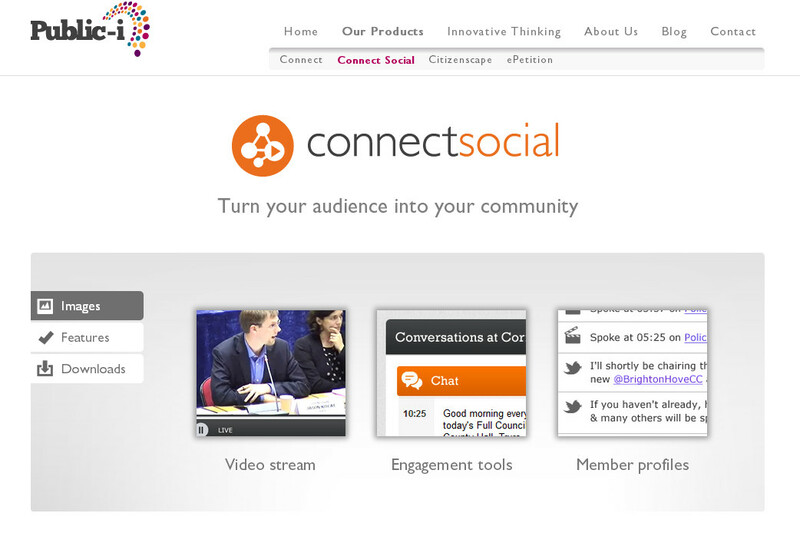 Live stream here http://www.leeds.public-i.tv/core/ #lcccouncil” is the sort of thing I guess they’ve got in mind. That might help, but it would involve throwing more resources at the webcasts, and probably misses the point: that the council may well be webcasting the wrong meeting. And full council is not where those decisions get taken. It’s a debating chamber. Local issues do get raised at full council, of course, but they’re framed in an arcane form of theatre that’s not designed with any audience in mind. 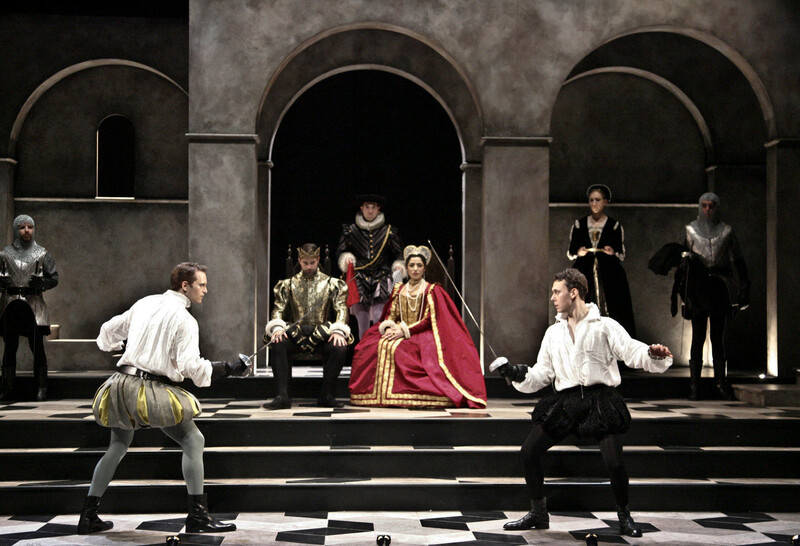 It’s generally a tough watch: the councillors perform not to the gallery, but to each other; members of the public only get a brief bit-part in the prologue; the stage directions are inscrutable; the script is grimly predictable; and the plot … well, like a novice at the opera, you keep wanting to ask the person next to you: “what bit have we got to? and what’s going on?”. 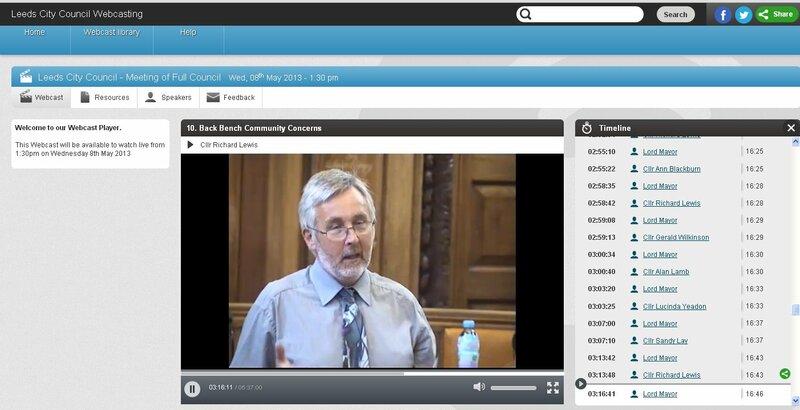 So, trying to bump up webcast hits by, say, encouraging LS16 twitterati to tune in and watch their local councillor in formal debate about the household refuse collection service in Weetwood, may not be the most effective route to increasing “civic engagement” – which is the object of the exercise. … and then no decision gets taken. Of course it’s a good thing that the debates are available on the internet and we can witness that part of the “democratic process”, warts and all. But is it what people want? Unmediated broadcasts of council proceedings are always going to be a pretty niche market (it’s unlikely they’ll ever attract the kind of traffic that an excellent civic blog like the Leeds Guardian did before it sadly went under). 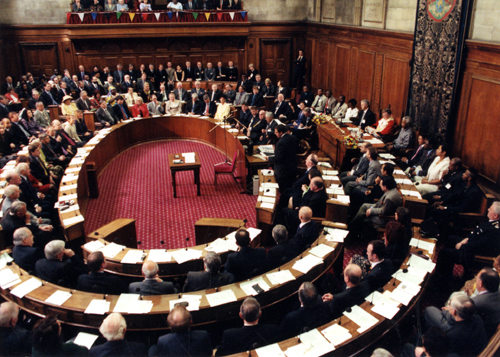 Broadcasts of full council sessions are a niche within that niche. So why don’t they take the cameras to the meetings where citizens are already engaged (they must be if they bother to turn up), to the committee rooms that are sometimes packed with rate-payers witnessing council leaders and planning panels making decisions that affect their lives? And why don’t they introduce the kind of off-the-shelf technology that’s available that allows citizens to interact with webcasts in the same way they take part in other conversations online? It’s either too little cash or too much caution. Or both. Council officers priced up extending the webcast service in Leeds to those committee rooms back in August 2012 and it turned out to be £9,000 extra. A snip. Since then it appears to have disappeared from the council’s agenda. Never mind. It’ll all happen. One day. 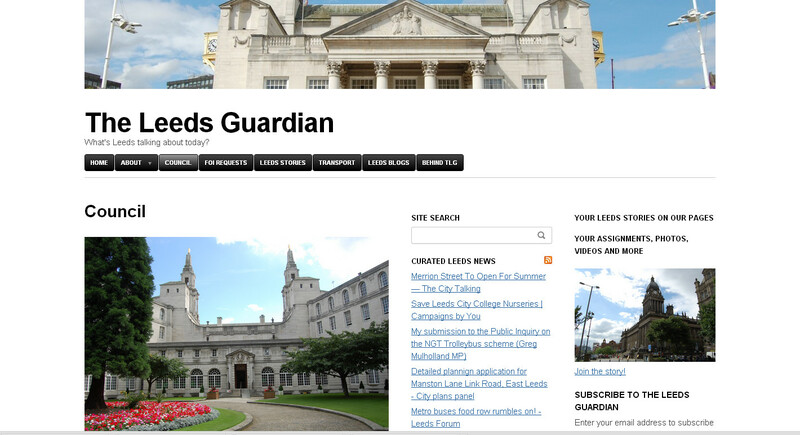 This entry was posted in Comment, News and tagged council, leeds, leeds city council, leeds guardian, public-i, webcasts. Bookmark the permalink.